My goal for the day was to be sipping a local beer from the Ram’s Head Bar at Timberline Lodge by 4:00 in the afternoon. My new cohort and I climbed the last sandy ridge up to the lodge, our feet sinking slightly backwards with every step. 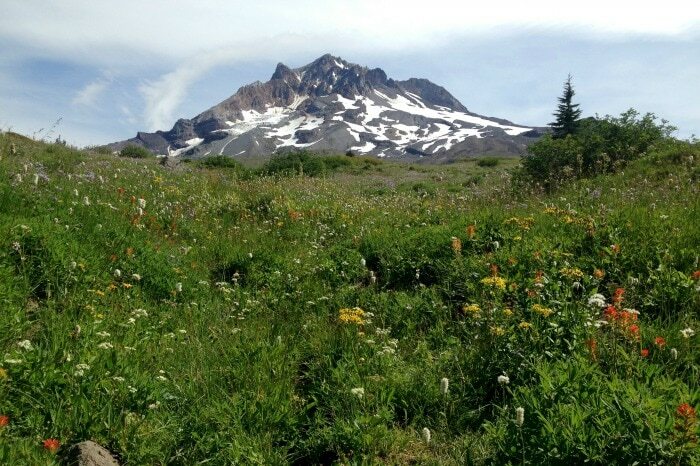 Timberline, standing like a mirage in the desert, beckoned us with whispers on the wind, promising warmth, comfort, and an all-you-can-eat breakfast that’s famous on the PCT. But breakfast would have to wait. We settled in at the bar with what seemed like a thousand other PCT hikers. We saw old friends and made new ones. We filled ourselves with beer and pizza and then begrudgingly hiked off perimeters to camp in a grove of trees. With the sun setting and the wind picking up, making camp was harder than we expected. After a quick, successful chase after my tent nearly flew away, I hunkered down for a night of restlessness. I could blame it on the ice cold wind or the usual discomforts of my sleeping pad, but I believe it all boiled down to excitement. 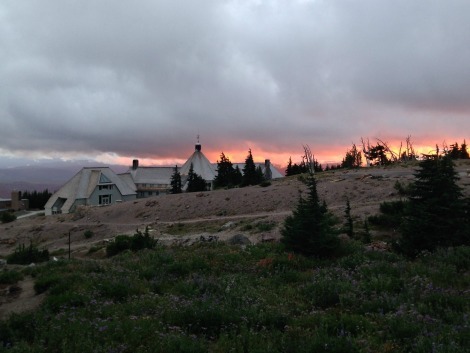 The next day was my birthday, and I was looking forward to a day filled with Portland friends and family and a night sleeping inside the walls of the famous Timberline Lodge, somewhere I’d always dreamed of staying. At dawn we packed up camp and speedily headed down for the all-you-can-eat breakfast. Let me tell you about this breakfast: it is the holy grail of all breakfasts, and hikers talk about it on the trail with reverence and respect. The freshly made waffles, the piping hot sausage, the soft pastries and eggs. It’s a hikers heaven and the line forms before opening. A bunch of dirty trail kids don’t turn off the staff at Timberline, either. They’re welcoming and gracious and they want you to have the experience you’ve been dreaming about. After going back for second and third helpings, I surrendered to my full belly and waited for my friends and family to arrive. 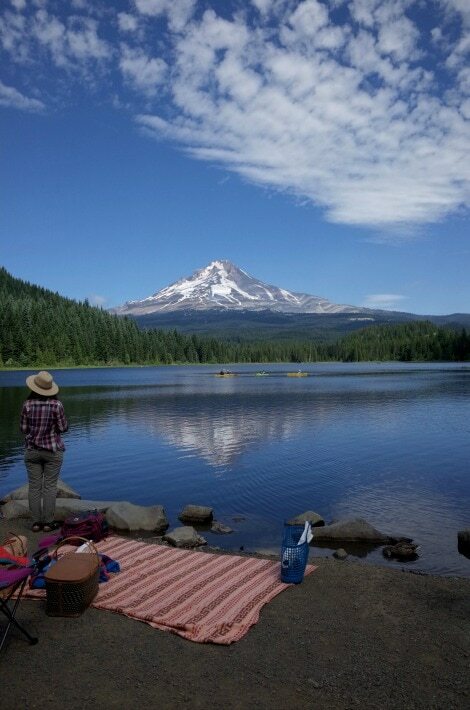 We spent the rest of the day lounging at Trillium Lake together in the sun, catching up on the past 3 weeks. We ended the evening at Mt. Hood Brewery, scarfing down burgers and reminiscing. It was truly a magical birthday and one I’ll never forget. But I noticed something was slightly off: I felt so at happy and at home, and yet I knew my challenge wasn’t over yet. It still hung over my shoulder, and I couldn’t completely relax until I was finished. So the next morning, in a surprising burst of tears, I waved goodbye and set off to finish my final 45 miles. I had been warned about the dangers of the Sandy River, its rising tides and the washing out of the hiker bridge. I was nervous about crossing it alone. I started asking every hiker I saw whether they’d traversed it and if they could give me any information. That’s when I ran into Homework, a fella heading north on the PCT in the direction of the Sandy. After pausing to ask him what he knew about the state of the Sandy River, he quickly and without hesitation offered to wait for me and help me across. This is a testament to the kindness of PCT hikers. And although I’m slow and the river was still another nine miles up trail, he made certain that I knew he’d be waiting for me there. After a short and worthwhile side trip up to the beautiful Paradise Park on Mt. 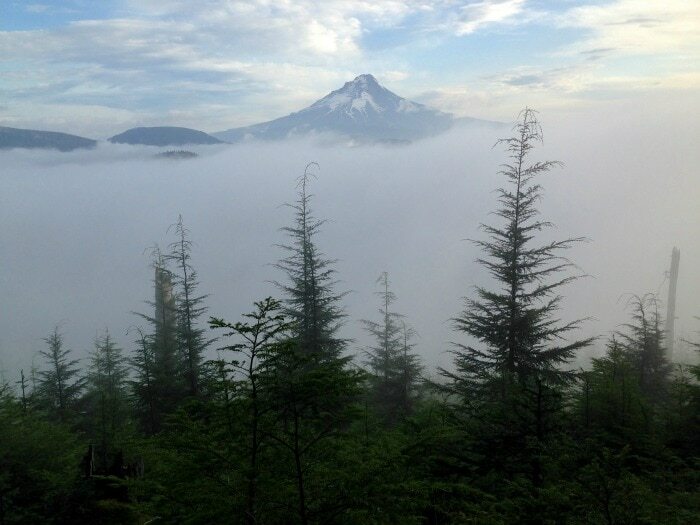 Hood, I scrambled down the painfully steep trail to where the PCT meets the Sandy River. Just as promised, Homework was there scouting for the best place to cross, refueling on snacks. The river was much lower than expected, but the waters were swift and I was thankful to have his assistance. We took off our shoes and sidestepped through the raging channel without distress. Homework helped me out of the drink and we parted ways. That was it, I told myself, it’s smooth sailing from here on out. My mind raced as I headed toward the popular Ramona Falls alternate route. All I could think about was making it to the Eagle Creek trail, with Cascade Locks, my final destination, just beyond. But it wasn’t as simple as I’d expected. I had imagined the trail as a simple downgrade from Mt. 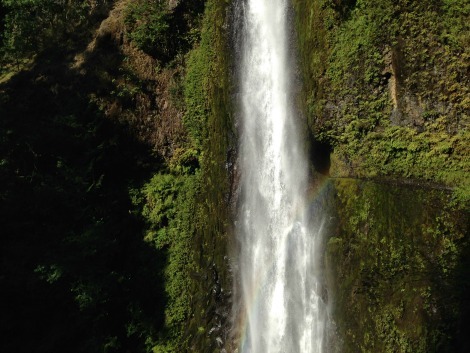 Hood to the Columbia River Gorge, but in reality it was a collection of ridges and ravines filled with long-winded switch backs and steep, spiraling rocky slopes. The trail hurt every part of my body, and it made my destination of Tunnel Falls seem ages away. When finally setting foot on the Eagle Creek trail, the terrain began to even out and people started to appear in throngs. Camps were perched on every possible embankment or flattened clearing near the creek. 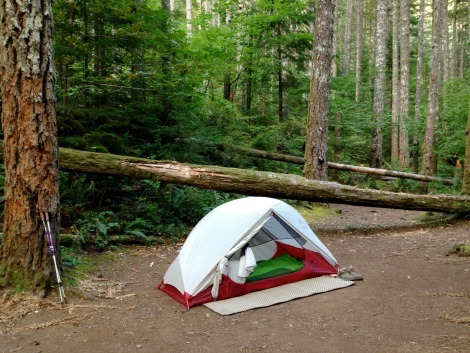 The best campsites were scouted and guarded by the early-bird backpackers, but I didn’t mind. 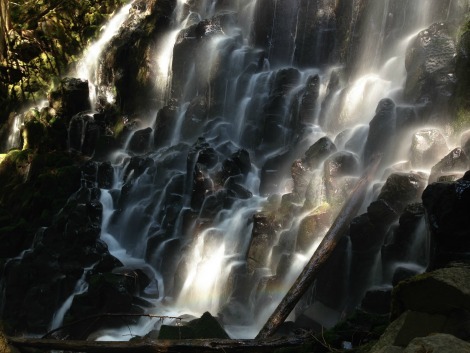 I was moving toward the one waterfall I’d been imagining since the trip began: Tunnel Falls. At mile 21 that day, I rounded a corner to see the landmark I’d been waiting for. 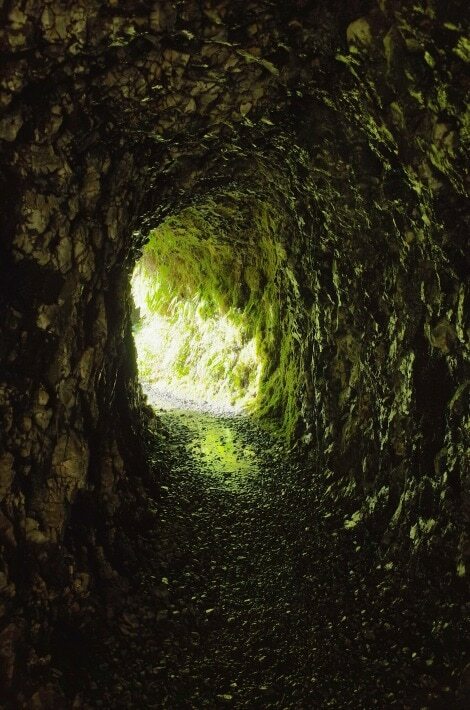 Standing at 160 feet tall, surrounded by cliffs alive with vibrant green moss and ferns, your eyes immediately drop to the small circular tunnel the trail leads you through. One moment you’re listening to the deafening thunder of the waterfall, and the next it’s immediately hushed by the thick walls of the damp cave. Then you emerge on the other side with a booming in your ears and a light spray enveloping your whole body. Fighting off exhaustion, I made it my way slowly down the trail until I found a suitable campsite near the river. I was absolutely elated knowing I would be finishing the trail the following day. I tried to enjoy my chores on that last night. I stepped down to the creek and washed my things. I filtered my last few liters of water and cooked my favorite dehydrated meal. I warmed some hot chocolate and sat there breathing in the forest. It felt surreal, my last night sleeping in my tiny tent, rolling over the squeaky air mattress. The last night listening to the crickets chirp and the wind blow through the trees. I went to bed before the sun set; I just couldn’t wait to wake up the next day. And when I did, I was packed up in record timing. I marched triumphantly down the trail, cheerfully greeting all the day hikers out for an early run. I made it to the beginning of the Eagle Creek trail and was greeted by the plump, ripe blackberries. I feasted happily on the most delicious berries I thought I’d ever tasted while I walked the last two paved miles to Cascade Locks. My dad was there waiting for me, a bouquet of colorful flowers in hand. I didn’t cry at the end, like I thought I would. I felt invincible. I felt amazing. I felt like a super hero. I sincerely couldn’t believe that I had made it through. There were so many moments on the trail where I’d wanted to give up. There were times that were miserable, challenging, boring. But thankfully I’d had enough foresight to know how disappointed and regretful I would have been if I’d given up. I didn’t want to let my friends and family down, but most importantly, I didn’t want to let myself down. People constantly ask me if I’d do it again and my answer has faltered over the months since I’ve returned home. If you’d asked me while I was on the trail, I might have said no. But today, I answer that question with “absolutely.” How easily one forgets the toughest of times and what a good thing that we do. And since I’ve returned, I’ve missed the trail wholeheartedly. I left a big part of me out there, and I can’t wait to return someday. 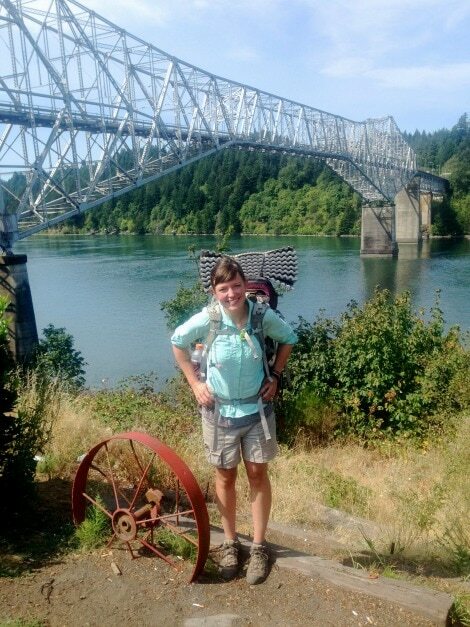 Editor’s note: This is part three in a four-part series about Brooke’s journey on the Oregon portion of the Pacific Crest Trail in the summer of 2014. 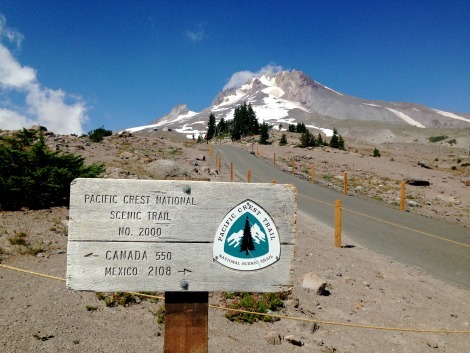 Read part one, two or three, or check out these ideas for exploring the Pacific Crest Trail for yourself. 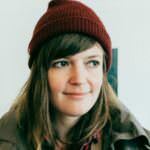 Brooke Weeber is a Portland-based illustrator who brings whimsical, nature-based scenes to life. After receiving her BFA in painting from the University of Oregon in 2003, Brooke received a degree in Professional Pastry Baking at the French Culinary Institute of New York in 2005 and worked as a high-end cake decorator until she returned to the trees, mountains and rivers, and drawing space of Portland in 2009. She's been cranking out art pieces ever since and continues to follow her passion for outdoor adventure on the side. Follow her adventures on Instagram @brooke_weeber.